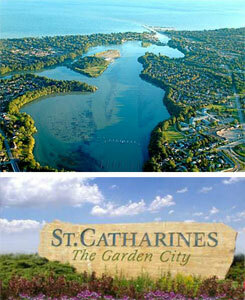 St. Catharines, Ontario has always been known as “The Garden City” due to its many acres of parks, gardens, and trails. But the city has always been an important regional center for heavy manufacturing, as well – after all, its official motto is “Industry and Liberality.” But times have changed for this municipality of some 130,000. “We had a very robust manufacturing sector that was driven by low energy costs for the better part of the last hundred years,” recounts Sendzik. “But the bottom started to fall out in the 1980s. By the early ‘90s, most of the larger businesses in manufacturing were gone. We had GM (General Motors). And at one point, we had over 12,000 GM employees in our community and the supply chain that fed into three GM factories created thousands of additional jobs,” he laments. While a much reduced GM still has a footprint in St. Catharines, and the city also has a decent range of high-tech manufacturers and service companies, Sendzik says that over the last several years, transitioning out of manufacturing while attempting to replace those lost jobs via another economic engine that could power the city’s economy, was a major area of focus for the city administration, nearby Brock University, and private developers. The mayor talks about some of the civic building projects taken on, and recently completed, by the city: “Within the past two years, we opened up a 5,000-seat spectator sports facility that’s home to the Niagara IceDogs, an Ontario Hockey League team, built in the heart of the downtown,” he begins. “We built it in an area that was underutilized and that had been vacant for 30 or 40 years. And through ingenuity and design work, built this facility that connects right into the heart of our downtown core. It’s built with no parking lot, so the parking is on the main downtown streets and two parking garages. It was designed as a walkable, spectator sports facility. It’s a definite showpiece for our downtown community. “Right next to it, there is the new Marilyn I. Walker School of Fine and Performing Arts at Brock University. The school moved its performing arts school to the downtown area, refurbished a century-old textile factory, and turned it into a creative arts hub that is now home to 600 students who study the arts in our downtown. It is arguably one of the best conversion blends of old and modern in all of Ontario, when you look at how it’s been designed. 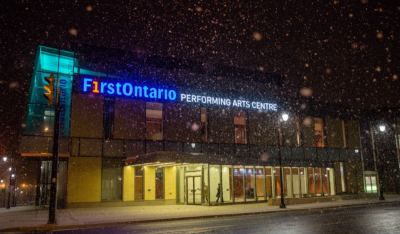 “Adjacent to that is the recently-opened, FirstOntario Performing Arts Centre that has four theaters in it, two of which are used by Brock University’s Fine and Performing Arts School. So, now you have connectivity with a school. And the city has built the theater space so that during the day, they’re used as theater practice spaces and at nighttime, they’re used for professional performances and community groups. 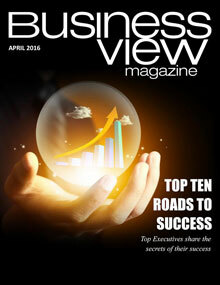 “So we’ve really developed into a ‘creative cluster’ – the downtown being the hub. We’ve attracted theater groups to open up their spaces in downtown; we attracted Norm Foster, one of the best-known, Canadian playwrights. He is launching a summer festival starting this year in the downtown area and he’s moved his office into our city. And now, you have creative groups who are opening up incubation spaces so that they can prepare the performances that will grace the stages of the theater. We have the Niagara Symphony Orchestra – its home is now the theater; it’s never had a home, before. “And what we’ve found is that when you create this energy around the creative arts, it does attract investment opportunity, young people, and creative minds. We’ve seen it in communities like Portland; we’ve seen it in communities in Canada, such as Kitchener/Waterloo, where you make those investments in the creative side and it does create a lot of energy around it, attracting other people to the community. 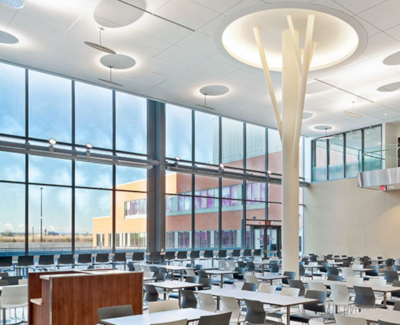 Based on this initiative, both the Brock University school move and the FirstOntario Performing Arts Centre were underwritten by joint federal, provincial, and municipal funds. And while the new spectator facility is a project wholly mortgaged by the city, alone, yet another multi-million dollar construction project – a brand new, mixed-use development, consisting of a LEED-standard parking garage and retail space – was recently constructed downtown with a combination of federal and city funds. “So we’ve done that,” says Sendzik, referring to the completion of the major downtown building projects. “But there’s still a lot of work to go.” And key to St. Catharine’s continual rejuvenation, according to its mayor, is attracting the types of businesses that will employ the city’s next generation of workers, because bringing a younger demographic into the city is essential for any growth it may wish to achieve. “So, we’re very much taking the leading edge,” Sendzik continues. “On the environmental side, we have a $50 million project that has been approved to build a hydro-station on one of our major rivers. That’s going to start construction in the next year, and that project, alone will generate additional revenues for the city, moving forward, that will be able to offset things like property tax increases. St. Catharine’s Ontario. Riding a crest of innovation into the 21st century.